Long Beach may no longer have a specific state-mandated conservation standard, but we need to continue using our water efficiently. It’s integral to the exceptional quality of life we have in our community. There are so many diverse ways to save water, whether you live in an apartment, condominium or house, or you’re a business owner in our bustling economy. Let’s keep up our diverse "water hacks”. Saving water is the Long Beach way of life. Click to trace your lawn. 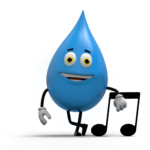 Click here to calculate water usage. Thank you for calculating your water usage goal.